A common piece of conventional wisdom is that you should never go grocery shopping on an empty stomach. Intuitively, this makes sense: if you’re already full when you go to buy food, you’ll be less tempted to buy extra food items. However, studies on the topic show that this is not always the case. Rather, while this is true for people who are not overweight, people who are overweight sometimes buy more food if they eat before shopping. 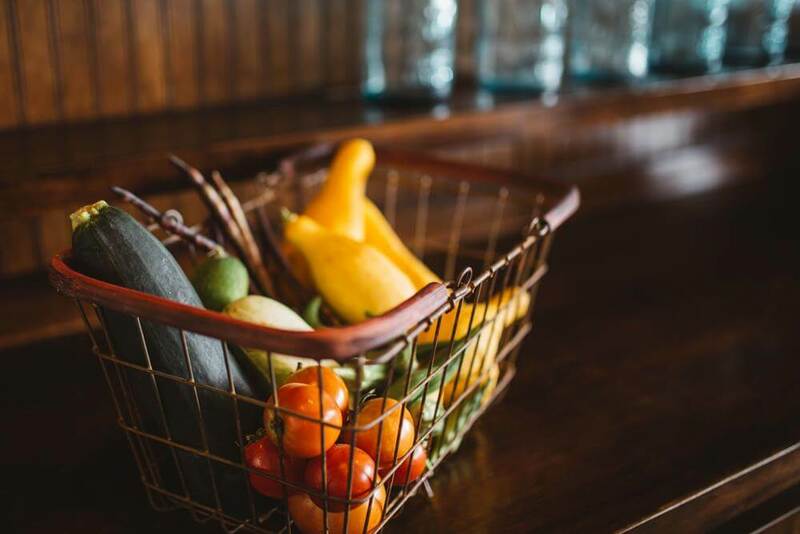 In the following article, you will learn more about the topic, and see some suggestions for how to decide whether you should go shopping when you’re feeling hungry or when you’re feeling full. Should you go shopping when you’re hungry or when you’re full? One study found that short-term food deprivation, in terms of not eating for a few hours, causes people to buy more high-calorie products, such as candy and salty snacks. Another study found similar results, so that when people are hungry, they are interested in buying more food items compared to when they are full. A study which looked at purchasing behavior in a large supermarket found that people with a standard weight tend to purchase more food when they are hungry, while overweight people tend to purchase less food under similar conditions. A different study showed similar results, where people who are not overweight tend to buy more food when they go shopping on an empty stomach, while people who are overweight tend to buy more food if they go shopping shortly after eating. Based on this, the general advice on the topic is the following: if you are not overweight, then it’s generally preferable to go food shopping on a full stomach, but if you are overweight, then it’s generally preferable to go food shopping on an empty stomach. In the next sections, you will see some explanations as to why this difference in shopping patterns exists, and learn what you can do to make sure that you pick the option that works best for you, in terms of whether you should go shopping when you’re hungry or when you’re full. Researchers are not entirely certain what leads to the difference in shopping patterns between people those who are not overweight and those who are. One suggestion is that for people with a standard weight, increased hunger leads to increased impulse buying, as evident in the fact they purchase more items than they expect to. Conversely, when overweight people eat before grocery shopping, they might become more focused on food, which preemptively increases their intention to buy extra food. This is reflected in the fact that people with a standard weight tend to overshoot their estimated bill when buying food on an empty stomach, while overweight participants tend to decrease both their estimated bill as well as the amount of food that they buy when they go grocery shopping on an empty stomach. Another possibility which could explain why some people tend to buy more food or more unhealthy food when they’re full, is that when you’re full, you sometimes feel like you’re interested only in comfort food such as snacks or desserts, which are generally perceived as more appealing. Conversely, when you’re hungry, both healthy as well as unhealthy food looks appealing. If this effect is more pronounced in overweight people, then it could explain the difference in shopping patterns between them and non-overweight people. Finally, it’s also possible that for overweight people, being hungry is more likely to be indicative of the fact that they’re dieting, which could explain their reduced intention to purchase food when they go shopping on an empty stomach. However, it’s unlikely that this could explain the difference in shopping patterns entirely, since studies that accounted for this variable found similar shopping patterns as studies that didn’t. Overall, it’s difficult to say why exactly this phenomenon occurs, where overweight people buy more food when they go grocery shopping on a full stomach, while people with a normal weight buy less food. Nevertheless, since this finding was confirmed in several studies on the topic, it means that the notion that you should never go grocery shopping on an empty stomach isn’t necessarily true for everyone, which is something that you should take into account when you go to buy food. When it comes to the psychology of dieting, there is always going to be some individual variation involved. This means that the various factors which come into play when deciding what food to buy will affect different people in different ways. A good example of this is the fact that, as we saw earlier, your weight is an important factor, that controls how your hunger affects you when you’re deciding how much food to buy. This is important to remember, since the guidelines that we saw earlier, when it comes to whether you should go grocery shopping when you’re hungry or when you’re full, represent general tendencies, rather than absolute behavioral patterns. This means that, for example, if you’re overweight, then you will most likely benefit more from going grocery shopping on an empty stomach, but that it’s still possible that you will find it easier to buy less unhealthy food if you go shopping on a full stomach, because that’s your personal preference. As such, the best way to find what works for you is to try out the different options, and test which one leads to the best outcome for you. One way to do this is to keep shopping as you normally do, while paying attention to what you buy, and to how hungry you are at the time. If you do this, it might immediately become obvious that when you’re hungry or full, you tend to buy a lot of snacks. In cases where it’s not so obvious, you can keep receipts from your purchases, and write on each of them how hungry you were when buying the food. Then, after you’ve collected several receipts, try to compare the type of purchases that you make when you’re hungry, compared to the purchases that you make when you’re full. Furthermore, you can also try to actively alternate between going grocery shopping when you’re hungry and when you’re full, so that you can easily compare the amount and type of food that you buy each time. Regardless of whether you choose to track food purchasing in a passive way or to actively alternate between shopping when you’re hungry and when you’re full, you should try and ensure that your testing yields valid results by minimizing the influence of external variables, such as the time of day when you go shopping, which could influence your findings. Finally, note that the more information you have on your shopping behavior, the more accurate your results will be. However, in most cases, it’s likely that after several rounds of purchases you’ll have a pretty clear answer, as long as you remain actively aware of your behavior while you’re shopping. Overall, it’s important to not only understand what research says works in general, but to also realize that there is a lot of individual variation in terms of which solutions work for different people. In order to find the best option, you shouldn’t rely only on generalized guidelines, but rather you should try things out yourself, in order to find the solution that works best for you. People who are not overweight tend to buy less food when they go grocery shopping on a full stomach, while people who are overweight tend to buy more food if they go shopping on a full stomach. These purchase patterns are attributed to the fact that when non-overweight people go grocery shopping while hungry, they tend to make more impulse purchases. Conversely, when overweight people go shopping while they’re hungry, they end up feeling less focused on food, which helps them reduce their intention to purchase extra food from the start. This effect of hunger on food-purchasing behavior remains significant even after controlling for background factors such as dieting. There is a lot of individual variation involved when it comes to deciding whether you should go shopping when you’re hungry or when you’re full. Accordingly, these guidelines should be viewed as generalized advice, which can guide you to make the best decision, but which won’t necessarily determine which option will work best in your case. In order to find the solution that works best for you, you should track your purchasing behavior over time, in order to identify whether you tend to purchase more food when you’re hungry or when you’re full. If you do this, try to control for background factors as much as possible, such as the time of day in which you go shopping.